As we head to the second half of the year, rumors of the 2014 LEGO sets have began to surface. 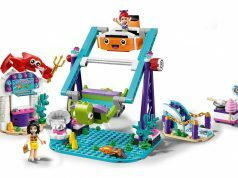 Eurobricks member Klaus-Dieter has been reporting on sets that may come out for various themes in the LEGO universe. First is some news about the Series 12 of the Collectible Minifigures theme. 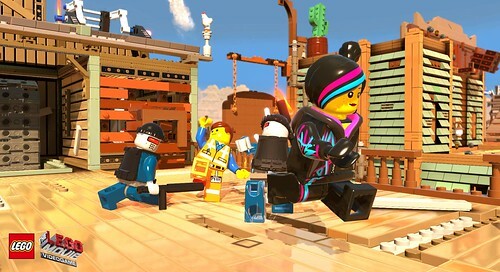 In this series, the minifigures will only be based on characters from the upcoming The LEGO Movie. You can go to the discussion for this piece of news here. 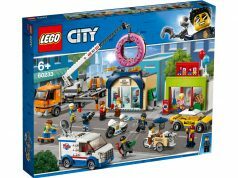 LEGO City of course will be getting a variety of sets as well. The names listed might not be the final ones but you can get an idea of what they are. You can read more about the Police and Great Vehicles subthemes here. More details about the Friends theme can be found here. Finally, Klaus-Dieter has posted some Star Wars sets for the first wave of 2014. Again, the set names listed are probably not the final names you will see when the sets are released. You can read more about the Star Wars sets here. Update: CM4S has posted an update on the Star Wars line. There will be a new subtheme called “Recruitment” and they will be replacing the Planet sets. They are small mid-scale sets that have one figure included but will not be able to fit inside the vehicle. The system sets will mostly be based on Star Wars Episode III: Revenge of the Sith. The Battle Packs will have minifigures from the same faction and not the faction versus faction like in Battle Packs from previous years. This makes it much easier for people who are building armies of a particular faction. Update 2: I’ve seen the images of these sets and can confirm that the minifigures will be able to sit inside/on the vehicle and they will be called “Microfighters”. The boxes are dark and feature Darth Vader on the top right corner. They are listed to launch in February. 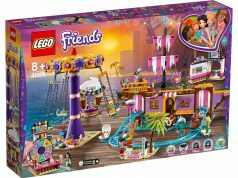 All of these sets are in addition to the LEGO The Simpsons sets that we heard about yesterday. Which sets are you looking forward to picking up in 2014?